This trough was donated to the City of London in 1892. 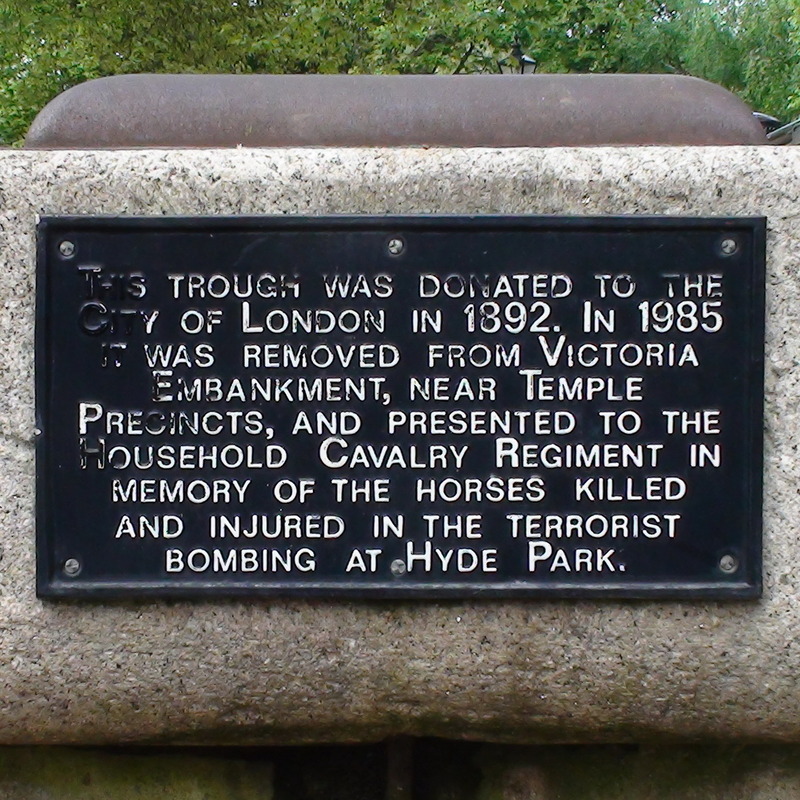 In 1985 it was removed from Victoria Embankment, near Temple Precincts and presented to the Household Cavalry Regiment in memory of the horses killed and injured in the terrorist bombing at Hyde Park. This trough was originally installed in 1892 at Victoria Embankment, "near Temple Precincts" which must mean somewhere between Temple Place and Temple Avenue. 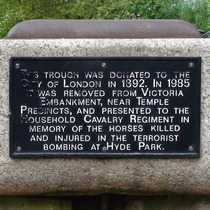 It was moved here in 1985 as a memorial to the horses killed by the bomb. In remembrance Martha Smith 1898. Erected by her daughters P. L. and L. D.